The new fabric being developed by University of Maryland scientists. Credit: Faye Levine, University of Maryland. The breakthrough lies in cleverly engineering the fabric with two different types of synthetic yarn — one absorbs water, while the the other repels it. Both are coated with a lightweight, carbon nanotubes. When exposed to humidity, the fibers warp, bringing the strands of yarn together. In the process, pores open up through the fabric, allowing more heat to escape. When the fibers come together, the electromagnetic coupling of the carbon nanotubes also changes. As the body cools down (and is less sweaty or humid), the dynamic thermal gating mechanism works in reverse to trap heat. “You can think of this coupling effect like the bending of a radio antenna to change the wavelength or frequency it resonates with,” Wang said. “It’s a very simplified way to think of it, but imagine bringing two antennae close together to regulate the kind of electromagnetic wave they pick up. When the fibers are brought closer together, the radiation they interact with changes. In clothing, that means the fabric interacts with the heat radiating from the human body,” YuHuang Wang, a professor of chemistry and biochemistry at UMD and one of the paper’s corresponding authors who directed the studies, said in a statement. Depending on the tuning of the nanotubes, infrared radiation is either blocked or allowed to pass through — and this happens almost instantly. 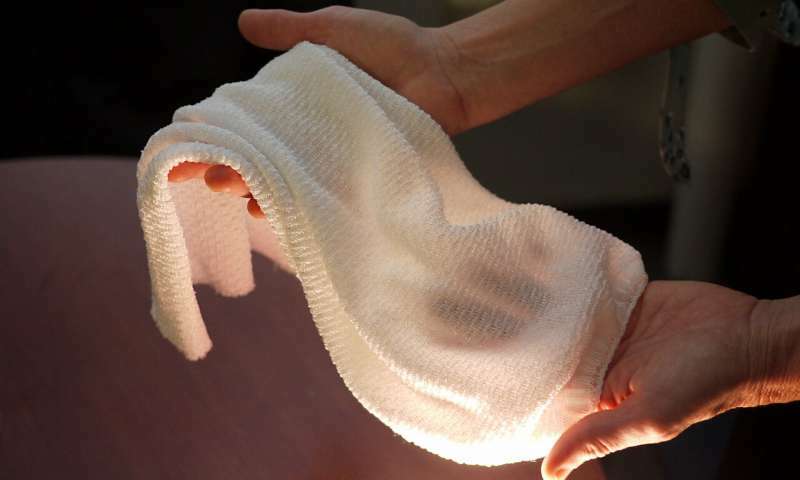 Previously, researchers demonstrated fabrics that can increase porosity in response to sweat or temperature, as well as textiles that transmit infrared radiation from the human body. However, this is the first demonstration of a material that can change both porosity and infrared transparency, thereby providing more comfort in response to environmental conditions.